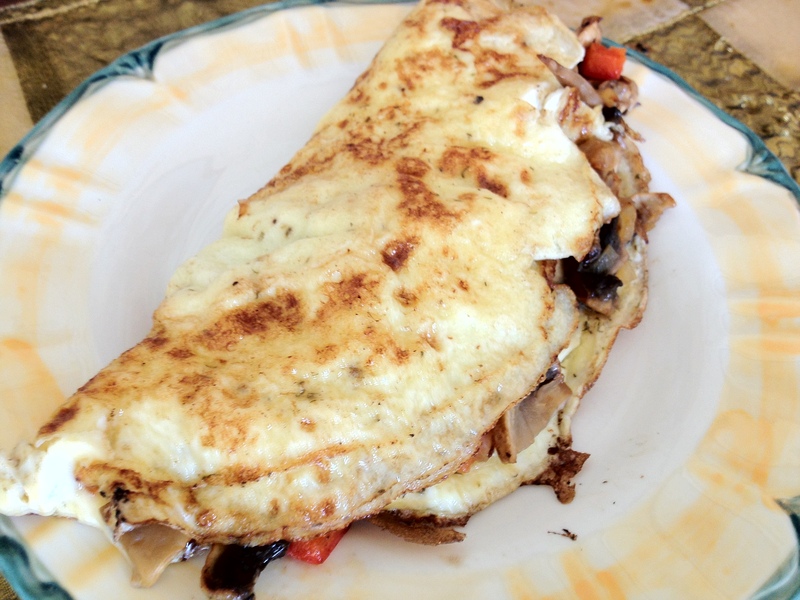 This is a low calorie, healthy yet filling breakfast/brunch omelette and it’s so easy and quick to make too. You can substitute the veggies of your liking too- or add in some spinach for more greens in your diet. All you do is finely chop up a sweet onion- half of a small or 1/4 of a large, 1 Jalapeño, 1/2 of a Red Bell Pepper, about 4-5 Large Mushrooms of your choice. Sauté in Olive Oil Cooking spray on a non-stick pan. Combine 2 Egg White and 1 Full egg in a bowl with 2 tbls of whole milk, two dashes of Dill Weed, pinch of salt and pepper- Mix. To make it spicy add in some hot salsa to the mixture for an even more tastier version. 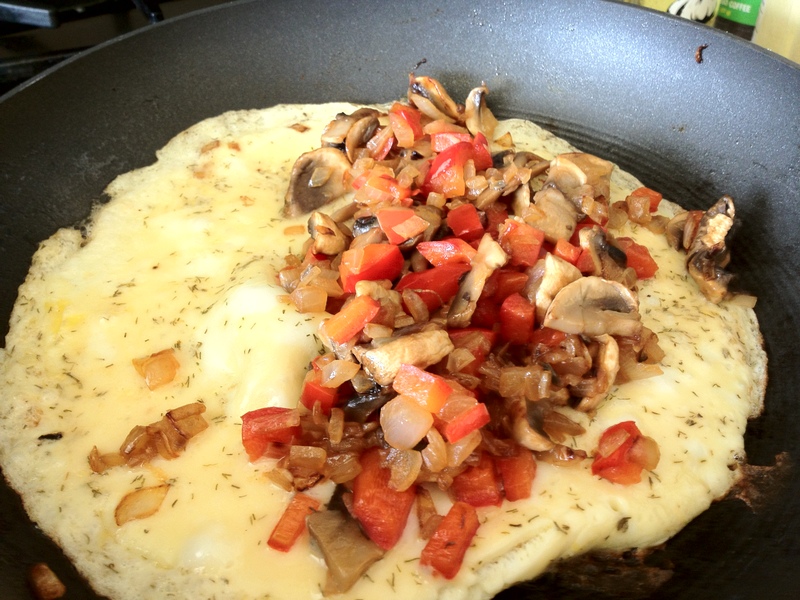 Once the veggies are soft in texture remove from pan. 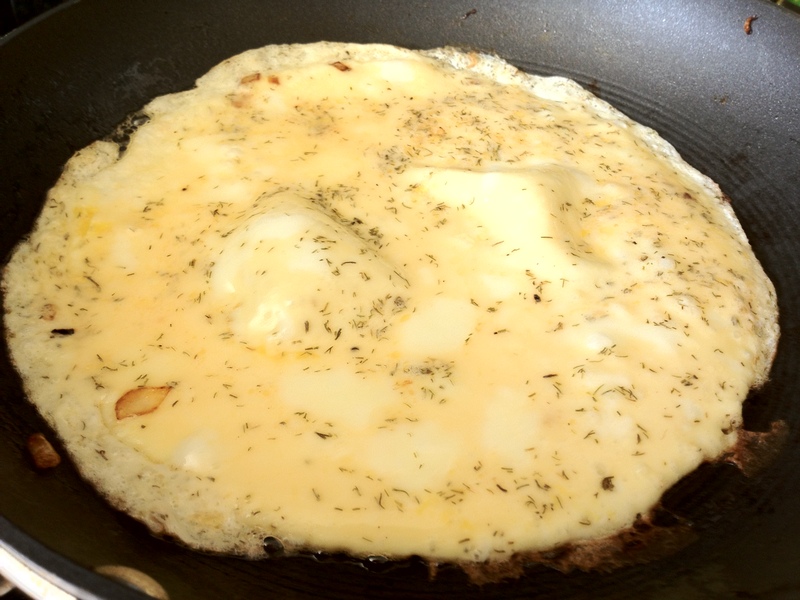 Add another addition of Olive Oil Spray to the pan and pour in Egg Mixture let that cook until it is almost dry on top. Once it is almost cooked through add the veggies and fold over. Simple, tasty and filling. 🙂 You can cut your portion size doown to just two egg whites too.